‘Stoichio’ means element and ‘metry’ means the process of measuring. 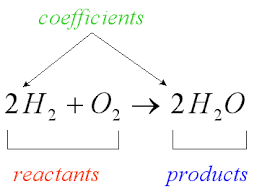 The mass and quantity relationships among reactants and products in a reaction are found using the process of stoichiometry. Let’s examine stoichiometry by building a chemical equation for the construction of a S’more! 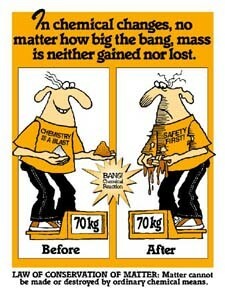 1) If you are given one bag of large marshmallows, what is the maximum number of S'mores that can be made? 2) How many boxes of graham crackers and how many chocolate bars are needed to make this many S'mores? Now we will transfer this process into the language of chemical reactions. When you complete this problem, get it checked by your teacher and you will be rewarded with the necessary items to make your S’mores! How many grams of silver can be produced from 15 g of Cu placed in AgNO3 solution? So you don't forget your S'mores recipe...enjoy a S'mores kit!